Must Sleep! Mattress Giveaway. Meet the Winners! has had their share of challenges over the past few years. Losing their almost two-year-old son in 2013 took an emotional toll on their family. “We lost another son in July of 2015 and had an ectopic pregnancy in February of 2016,” said Melissa Churchill. Melissa and Jeremy have had to find a way for Melissa to be able to stay home to care for their three-year-old with cerebral palsy and epilepsy, which means there isn’t extra income to buy a new mattress. The Churchill’s are thankful for the new mattress from Juna Sleep Systems and cannot wait for a good night’s sleep. Zach and Kelli Else have been married for 10 years and have two children. Kelli is thankful for her husband who works hard to provide for her family. 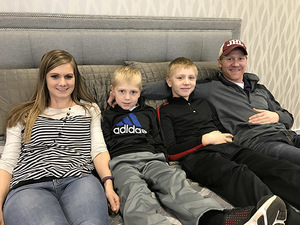 The Else family is thankful for a new mattress that will help bring them some quality sleep. 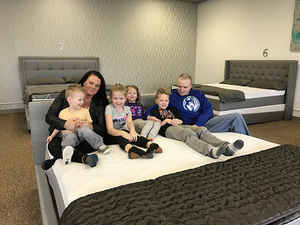 For the Evenson family of southern Minnesota, a new mattress will bring much needed rest after their daughter Rosie was diagnosed with stage 4 Wilms cancer. 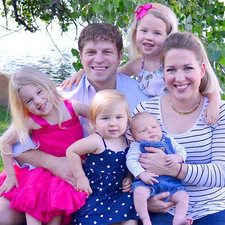 The Evenson’s live in Southern Minnesota and travel to Sioux Falls for their daughter’s medical care. Angie and Aaron have four children under the age of five. Rosie is three-years-old and was diagnosed with cancer at the end of September 2016. Since then, Rosie has had weekly chemo in Sioux Falls, surgeries, radiation and several long hospital stays at Sanford. Since September, the Evenson family has spent more time in Sioux Falls than in their hometown of Blue Earth, MN. Since Angie is originally from Mitchell, SD, Sioux Falls has easily become a second home to their family. Rosie is scheduled to complete treatment in June.